For the second consecutive year, the Bishop Shanahan High School STEM Team won the Pennsylvania Governor’s STEM Regional Competition, taking first place for the development of an innovative — and lifesaving — medical device. The team’s Cardiopulmonary Resuscitation Lifesaving Assistant (CRLA) is designed to improve the success rate of cardiopulmonary resuscitation, or CPR. The CRLA portable device detects and monitors pressure and compression rates to assist administers of CPR, both trained and untrained. The competition, which took place on Feb. 5 at the Chester County Intermediate Unit’s Brandywine campus, challenged STEM teams to develop communication, problem-solving, critical thinking, and creativity skills to address the needs of Pennsylvanians. Team faculty advisor John P. Janasik, Ph.D., supported the students in preparation for the competition. Each regional STEM team selected a real-world problem, conducted research, designed, built and presented a device that is capable of making the quality of life better for citizens of Pennsylvania. 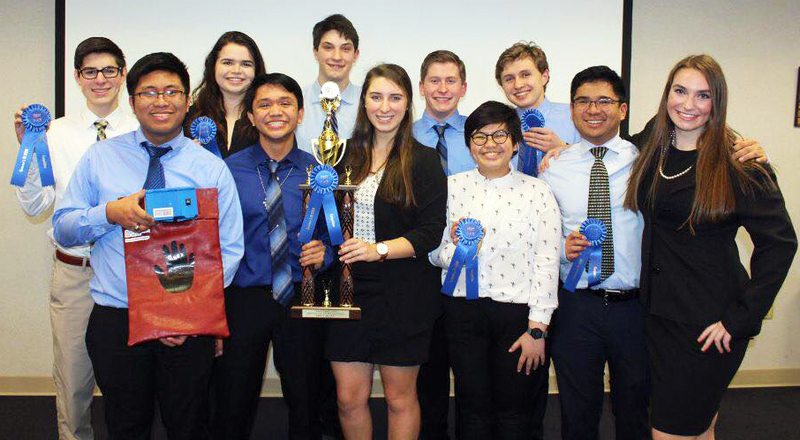 The official presentation team — Michael Gomba, Alana Pappas, David Carangan, Julia Hirs and Brian Carangan — contended against six other Chester County high schools. Auxiliary team members included Alexis Campo, Carlo Ursal, Brendan Pappas, Greta Barnes, Ethan Xydis and Bryce Alexis. With the support of community partners, the BSHS team researched the project’s concept and developed a prototype. CTDI (Communications Test Design Inc.), a global engineering company, and Suzanne Vietri, a health educator and CPR certified instructor, assisted the team throughout the research and project development. Such partnerships provide real-world experience about the implementation of the skills students will need to be successful in postsecondary STEM opportunities. Having scored this win, the team will advance to a state-wide competition in May. In preparation, the students will continue to develop the CRLA, based on additional research and feedback provided by the community partners and the panel of judges.